The global leader in luxury marketing and the “Gold Standard” for the exploration of best marketing practices and trends in the luxury marketplace. A group of approximately 4,000 professional organizers helping individuals and businesses bring order and efficiency to their lives. Beyond Celiac is an active contributor to the expanding world of celiac disease research through activities such as surveys, focus groups, data analysis, promoting calls for study participants and collaborating with leading research institutions. Beyond Celiac is constantly working to make sure that people with celiac disease can get an accurate diagnosis and live better, longer. Click here to learn more about what Beyond Celiac is working on. 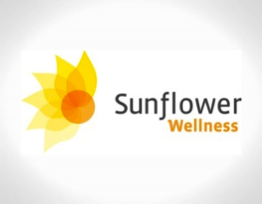 Sunflower Wellness empowers people living with cancer to find strength through exercise, coaching and a sense of community. They are there to help every person in every economic bracket to get through their cancer needs. Because of that, they offer reduced membership pricing for lower income families. Runzheimer International’s web site features pages with upcoming events, related sites, news releases, RI product descriptions and surveys and newsletters. RI is an international management consulting firm specializing in transportation, travel and living costs that services businesses, government agencies and the general public. Locate a destination by inputting a street address. You can view large scale or zoom in on. Change of Address online with the US Postal Service. Compare the cost of living in hundreds of US & International cities. This website is designed to provide access to school information. SchoolMatch is a school research and database service firm that specializes in rating schools (K-12), including school rating for the parent, realtor and homebuyer; school choice consultation, counseling services for children with special needs, expert legal support services, comparable school evaluation, child custody assessment, and school data for the real estate appraiser, title firm and mortgage lender. Corporate support is also available for relocation, recruitment, WorkLife benefit programs, human resource services and site selection. A free referral service helping families find nursing homes, assisted living, Alzheimer’s care, retirement communities, home care, and other senior care options. A free resource for finding local senior homes. Comprehensive information on all nursing homes, assisted living, memory care and retirement communities, as well as articles on important senior housing topics to help you through your search.